The Royal Hounds | Sierra Nevada Brewing Co.
Join us in High Gravity at the Sierra Nevada Taproom in Mills River on Saturday, January 26th from 1pm to 4pm for a free show with The Royal Hounds. 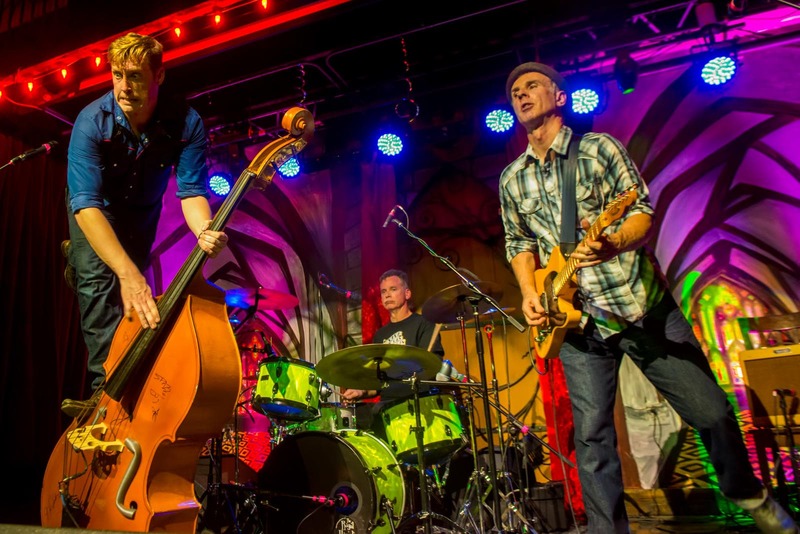 Nashville’s premier high energy roots rock and roll trio, The Royal Hounds, entertain crowds around the globe. Having just released their latest studio album, Poker All Night Long, these guys are wowing audiences with their unique approach to live music that includes traditional rockabilly, swing, bass surfing, setting drums on fire, and anything else they can think up as part of their on-stage antics and quirky take on music. Not content to merely stand there and play, The Royal Hounds successfully marry quality musicianship with stellar showmanship.